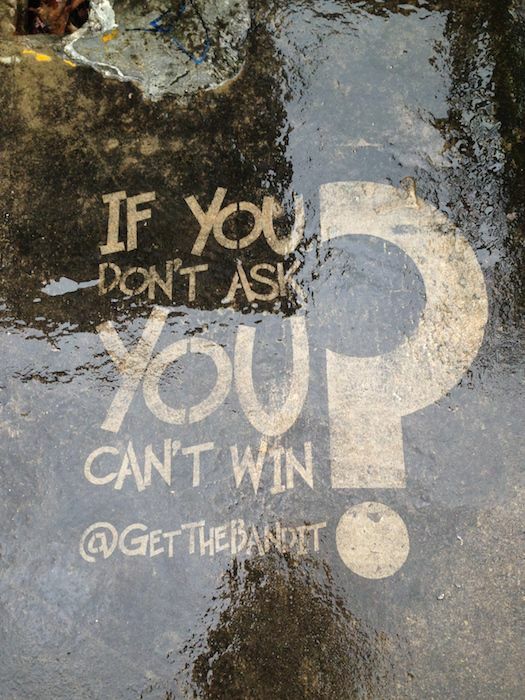 If you don’t ask you can’t win! Celador produce world class entertainment that is critically acclaimed and commercially successful, so who better to partner with than the innovative Street Advertising Services? 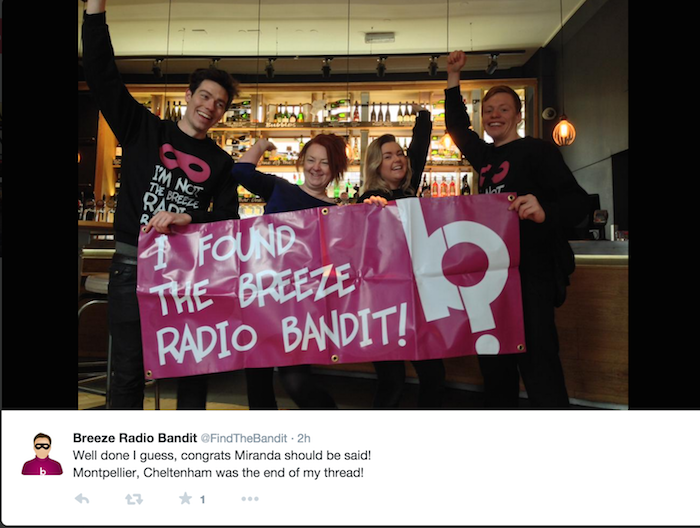 We partnered with Celador Radio who look after Breeze FM. 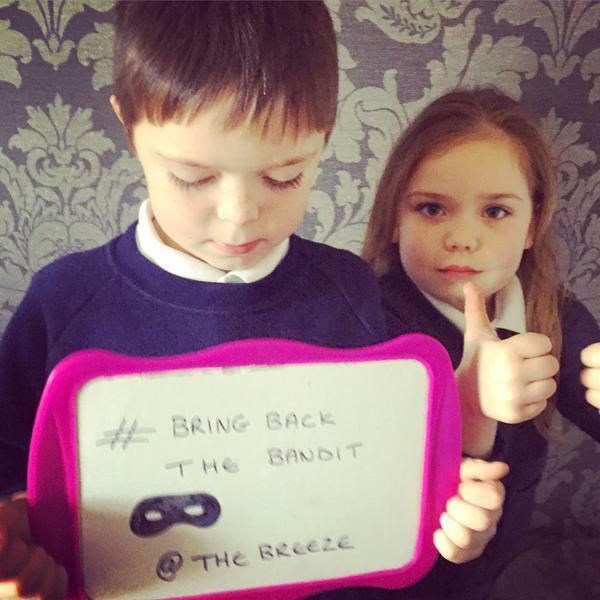 Breeze FM wanted to produce a campaign which linked in with a dedicated social media campaign. The aim of this campaign was to stir up the curiosity of the public. We wanted people to be scratching their heads thinking “What’s this all about?”…this curiosity would drive traffic to the Twitter page of the campaign where members of the public can Tweet pictures of their mysterious finds and join the conversation online. The call to action was to ‘ask’ about something in order to potentially win a prize, if you don’t ask you can’t win; which question to ask was left a mystery. As clues popped up left right and centre in the city it became more and more apparent what the listeners had to do to win! 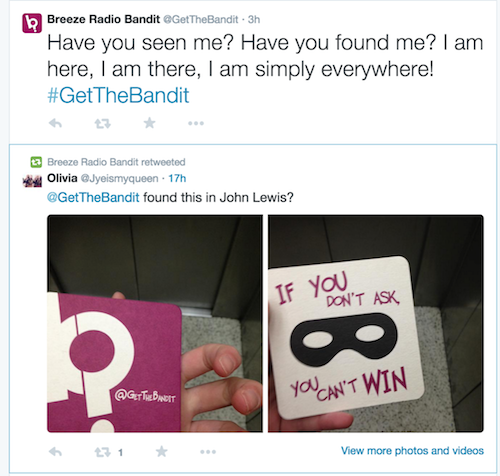 The campaign was essentially an interactive radio promotion titled ‘The Breeze Radio Bandit’ where listeners were encouraged to take part in a giant game of hide and seek! 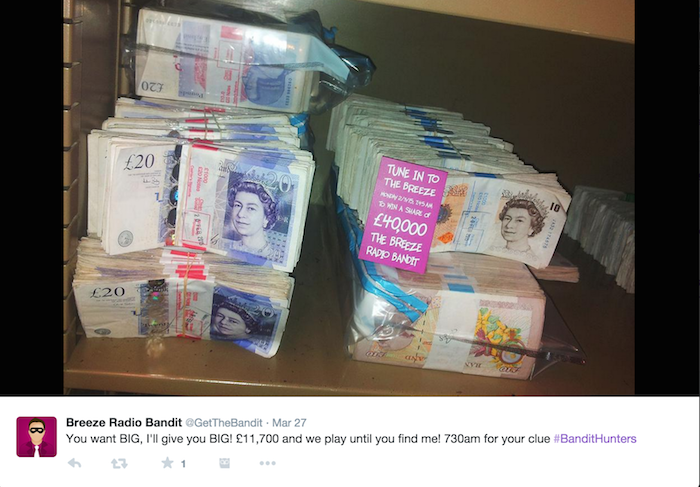 The ‘Bandit’ gave clues that the listeners would have to interpret, hurry to the location and find him in order to win the bounty! Two weeks before the competition went live a combination of print and guerrilla marketing techniques were used to create intrigue and built interest prior to the start of the competition. 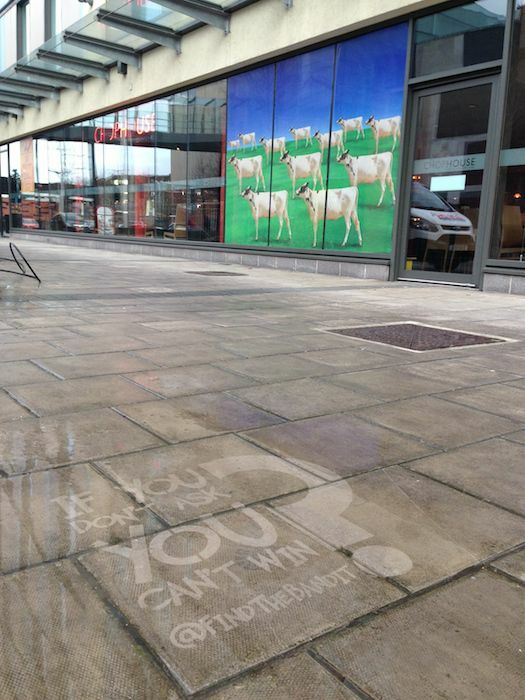 Street Advertising Services were an integral part of this phase, using both clean and rain graffiti to engage listeners from all demographics. At the dead of night our Street Ad ninjas applied stencils to the pavements in the chosen locations and blasted the area clean through a stencil. What was left was an eye catching design right there under your feet. We used hydrophobic spray to create a design that only appears when it rains! It literally repels water! This is the first time this method has been used in the UK for promotion and really does stop people in their tracks! One listener noticed one of our designs on the streets and when he returned home there was another stencil right outside of his door! He picked up the phone and asked Breeze if they were stalking him! 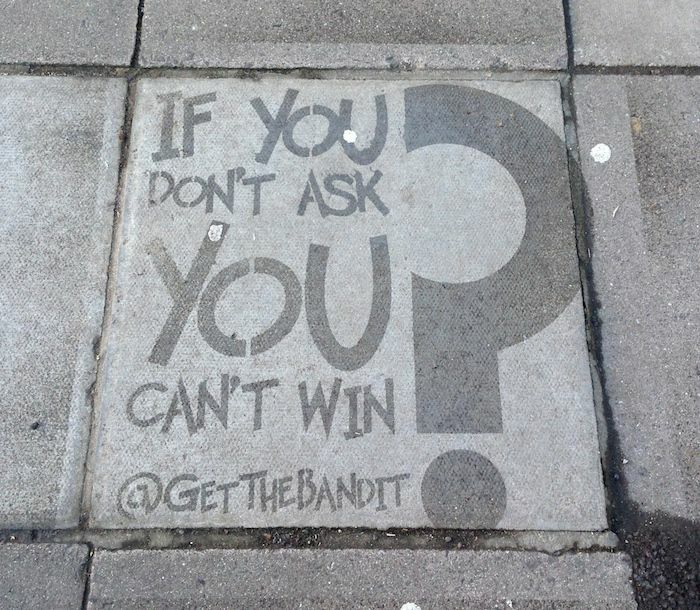 Partnered with a leaflet drop and a strong social media campaign, @GetTheBandit soon sparked the curiosity of the public who then took to Twitter to try and find out what was going on. Listeners were able to win tons of cash in this exciting, interactive and generous campaign. 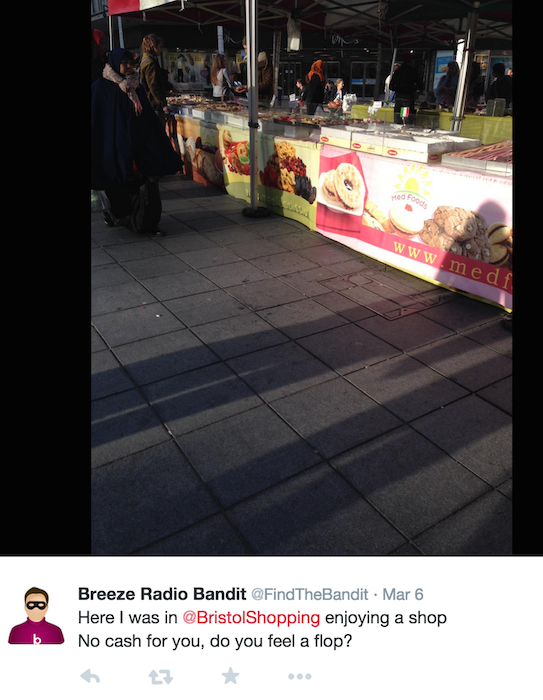 The Breeze Bandit sparked conversation online and got people listening to the show! What a fantastic way to take the radio show out of the air waves and onto the street! Another great thing about this campaign is that the target audience really loved it! It was enjoyable campaign for everyone involved and just goes to show that marketing your brand doesn’t have to be a one way street! The key is keep it fun, keep it experiential!